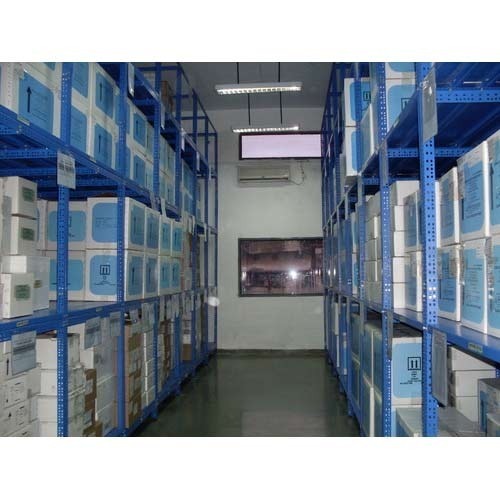 Leading Manufacturer of container shelving systems, office shelving systems, metal shelving systems, industrial shelving systems, longspan shelving systems and book shelving systems from Ahmedabad. We have set a benchmark in the industry for manufacturing and supplying Container Shelving Systems to our revered patrons. The offered shelving is made in tune with the set industry norms and has earned us loads of appreciation. 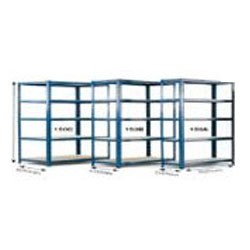 It is used for the storage of goods in a systematic manner in industries including tooling, footwear, electrical and pharmaceuticals. This system requires low maintenance and is available at cost-effective prices. 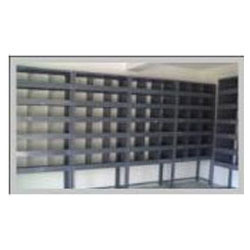 We hold expertise in offering an extensive range of premium quality Office Shelving Systems to our esteemed customers. 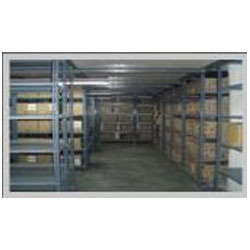 The offered systems are widely used for large scale storage applications in different industrial warehousing units. 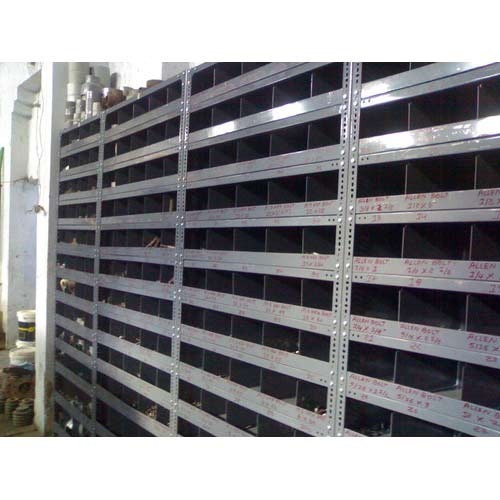 Manufactured using advanced machinery, these shelving systems can be customized as per the specifications provided by the customers. 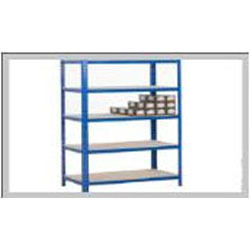 We offer an extensive range of optimum quality Metal Shelving Systems to our valuable customers. Offered systems are manufactured using ultra-modern machinery and are used in industrial warehousing units for storage applications. 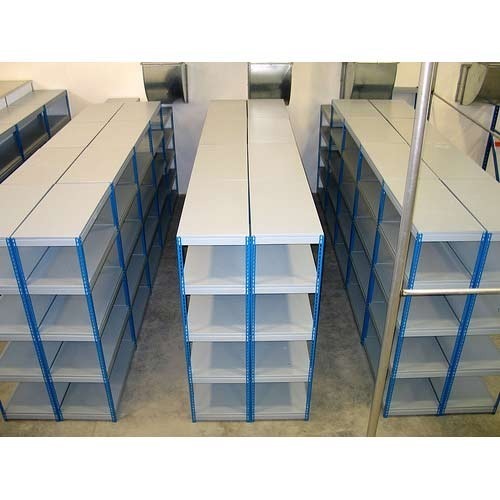 Available with us at industry leading prices, these shelving systems are highly appreciated among our customers. We company is instrumental in offering a wide range of optimum quality Industrial Shelving Systems to our valuable customers. 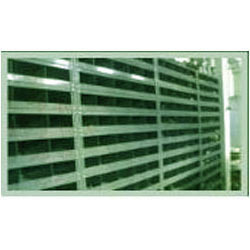 These shelving systems are manufactured as per the industry set norms using cutting-edge machinery. Due to their easy installation and optimum storage space, these systems are highly demanded across various industrial warehousing units for use in various storage applications. 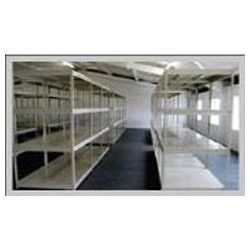 We are among the eminent names in the industry for manufacturing and supplying Longspan Shelving Systems . 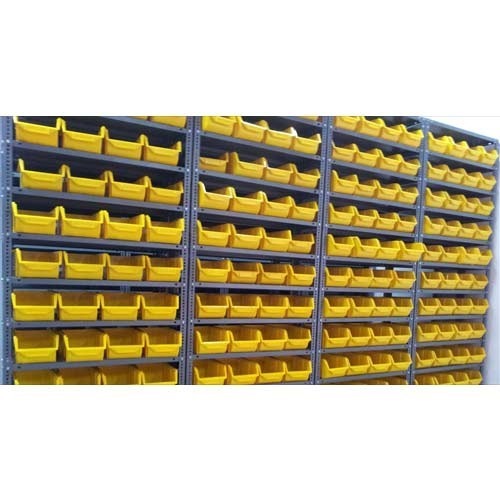 The offered shelving is ideal for storing equipment, heavy machinery, pharmaceutical cartons and spare parts for a wide range of industries. This shelving is exceptional in terms of tensile strength and is impeccable with regards to surface finish. 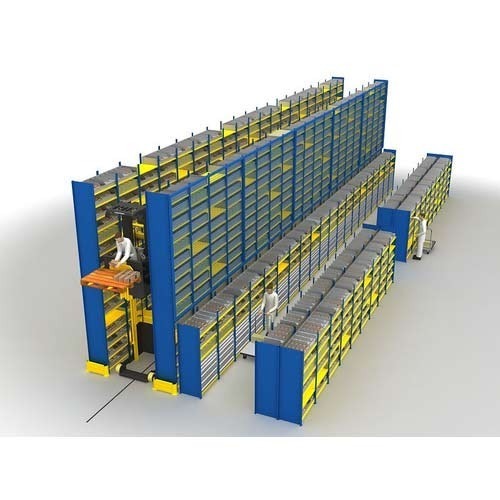 For the purpose of providing the finest to our clients, we manufacture these Basement Shelving Systems using the finest raw materials and modern machinery. Owing to this, the offered product is known for its high sturdiness and impeccable durability. Manufactured as per the industry norms and guidelines, quality of this product never deteriorates. In addition, it is marked at the best rate possible. 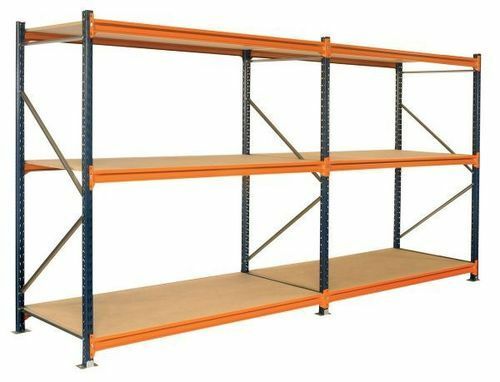 We are known to be amongst the leading manufacturers and suppliers of this quality range of Adjustable Shelving Systems. For the purpose of living up to this market standing, we engage in using the finest raw materials and modern machines in their manufacture. Our abidance of the set industry norms and guidelines, helps us in maintaining the desired standards of quality. 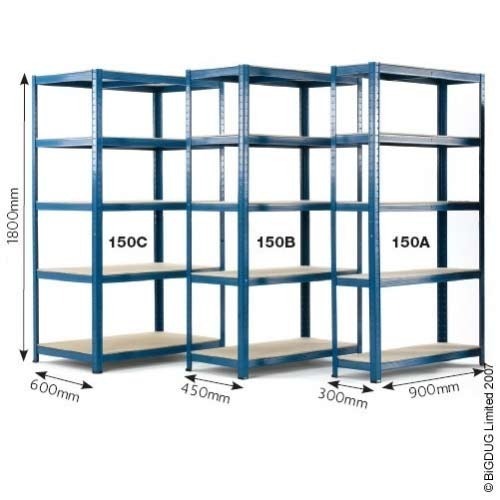 Being one of the leading providers and manufacturers of this quality range of Adjustable Metal Shelving Systems, we work hard to maintain the quality we provide. Thus, we indulge in using the highest grade of raw materials and modern machines in their manufacture. Owing to this, the offered product has high durability, superior strength and unmatched resistance to corrosion. For reasons of quality, the manufacture is done by us in compliance with the set norms and guidelines. In order to provide utmost satisfaction to our clients, we manufacture these Adjustable Wall Shelving Systems using the highest grade raw materials. Owing to this, the offered range has a sturdy construct, superior resistance to corrosion and high durability. Manufactured in compliance with the set norms and guidelines, its quality is known to be highly standardized. Offered to clients at a market leading rate, the offered Shelving Systems have a high preference in the market. Manufactured as per the set industry norms and guidelines, using the finest raw materials and machinery, their quality never deteriorates. Owing to this, the offered product is known for its high durability, superior strength and unmatched capacity.